On the first day of a new class, I do this simple but powerful activity with my kids not only as an ice-breaker, but as a way for me to informally assess the students. This 30 minute activity reveals the risk-takers, the leaders, the followers, the collaborators, and the loners. 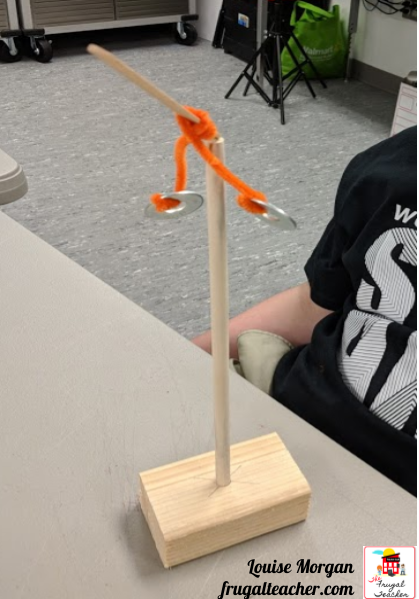 In addition, it gives students a tangible representation of how life can sometimes be hard to balance. Each object has a “special” point, it is called center of gravity, where the object’s weight is evenly distributed around it. 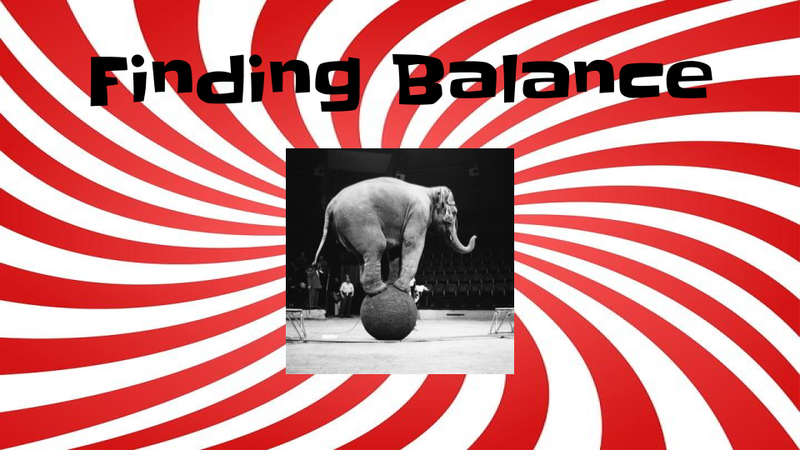 You can balance things in a way that do not seem to make sense, if you place the center of gravity properly. All objects behave as though their mass (the stuff they're made from) is concentrated at a point called their center of gravity. A simple object like a ball has its center of gravity in a very obvious place: right at its center. 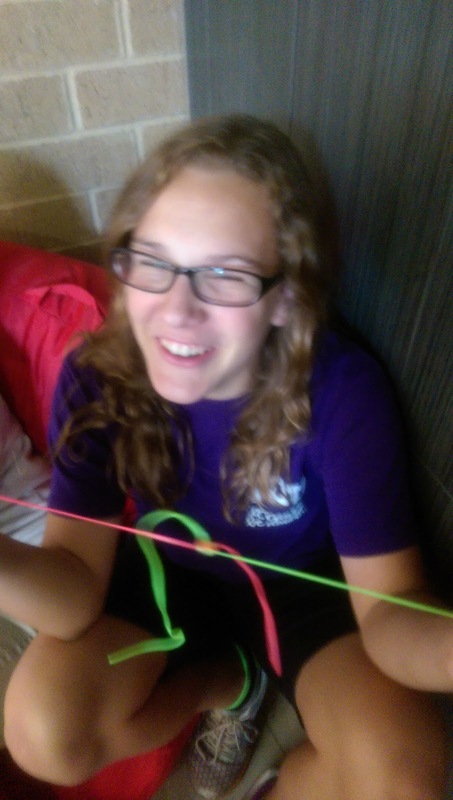 But in a more complex object, like your body, the center of gravity is not located at the center of your body. In fact, men’s center of balance is located closer to their chest while women’s center of gravity is closer to their hips. 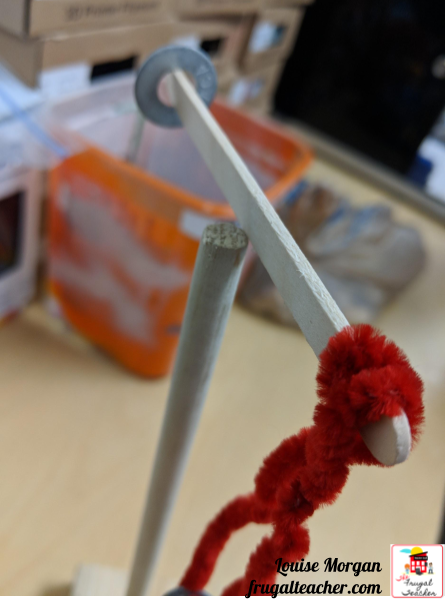 How can I balance a craft stick on the balancing rod using 2 washers and a pipe cleaner? At students will all start by balancing the craft stick and the washers evenly, but then I remind them that all materials must be used. Eventually one of them will figure out a different way, and others will try as well. 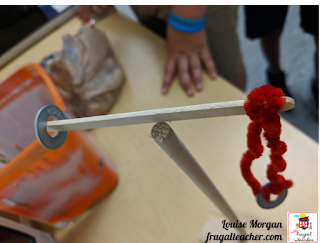 Along the way, I encourage the students to balance the craft stick on its side or on one of the ends. At first it will seem impossible, but eventually they figure it out! 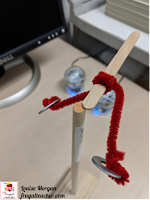 Ask: How are we like the objects we balanced on the rods today? Ask: Do you sometimes feel like you have a lot to balance? 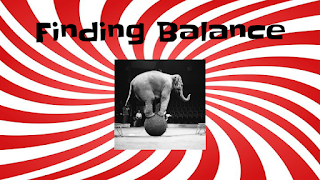 Ask: What are some things in your life that causes imbalance? Ask: Do you sometimes feel like you're just barely hanging on? 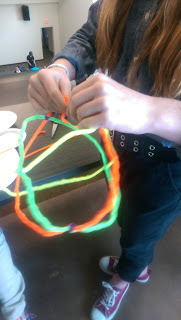 Ask: How can we use this activity to help us find balance in our lives? The discussion usually takes on a life of its own when the students understand the connection between this activity and their lives. Students will give examples of friend drama, family responsibilities, homework, grades, sports, and other extra-curricular activities. This will open up the discussion on how we sometimes have to prioritize and re-balance from time to time. Sometimes we fall, but we pick ourselves back up and start over! Four years ago we purchased two Polyprinter 3D printers for our Makerspace. I knew nothing about 3D printing and had a lot to learn. That first year I experimented with files obtained from Thingiverse and some of my own simple designs that I created on Tinkercad. 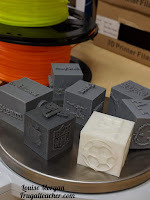 My students were also eager to learn how to use the printers and design their own creations, so I developed this lesson plan to introduce students to not only 3D design, but also the fundamentals of how 3D printers work and how 3D printing is impacting all areas of society. As with all of my units, I use the learning framework outlined below. 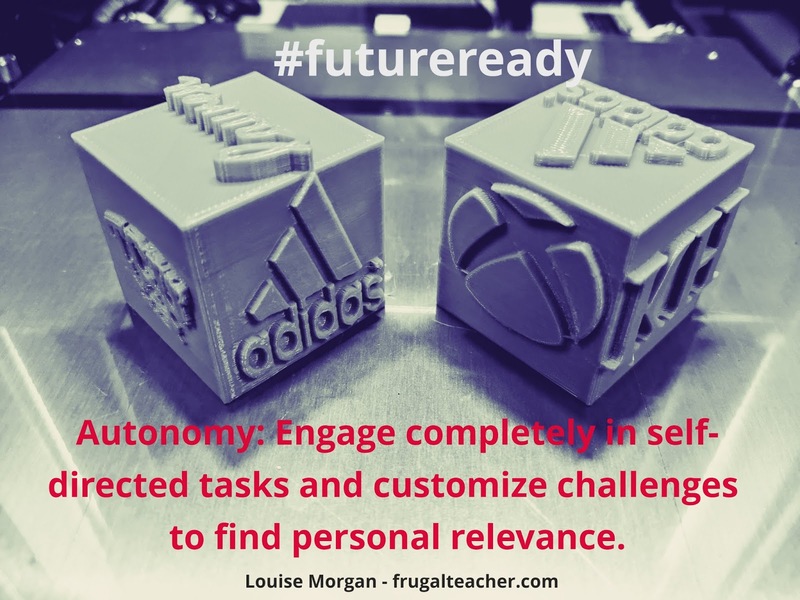 This plan, which is based on the engage2learn framework, gives structure and a flow so the students know where they are at all times during the unit. 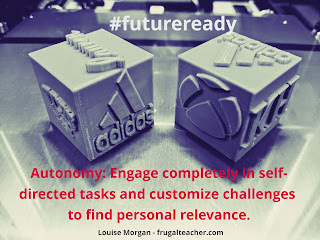 Students self-assess their work via Maker's Statement. The pre-assessment in this unit includes a lot of vocabulary, file types, and procedural questions. 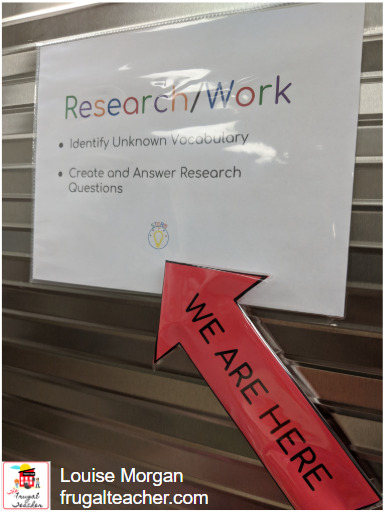 It is important for the students to evaluate their pre-assessment and develop a list of "knows" and "need to knows" so that they are able to set goals and plan how they will go about their learning. 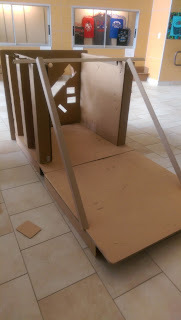 Much of my work is done by the time we start the unit. 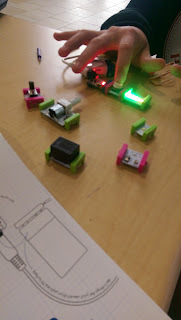 I have front-loaded all of the slides, curated resources, and set up a timeline so the students have everything they need to work autonomously through the unit. Instead of doing whole group lessons on how to use Tinkercad, I have provided tutorials and other resources. I do spend time addressing the whole group on the day I give a "tour" of the 3d printers and discuss the different types of filament. By the time I do these lessons, the students have had time to review the resources so they can come prepared with questions. 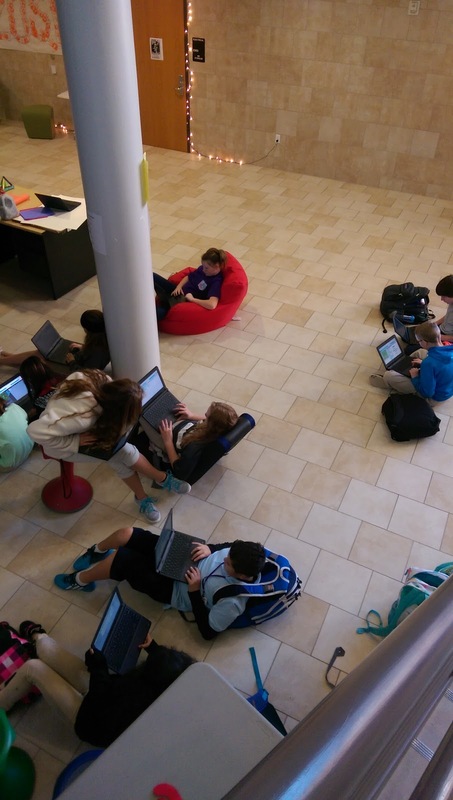 If a student already knows how to use Tinkercad, then they can move through projects more quickly, while others may need more time to learn. I facilitate the learning by holding "workshops" and answering questions. 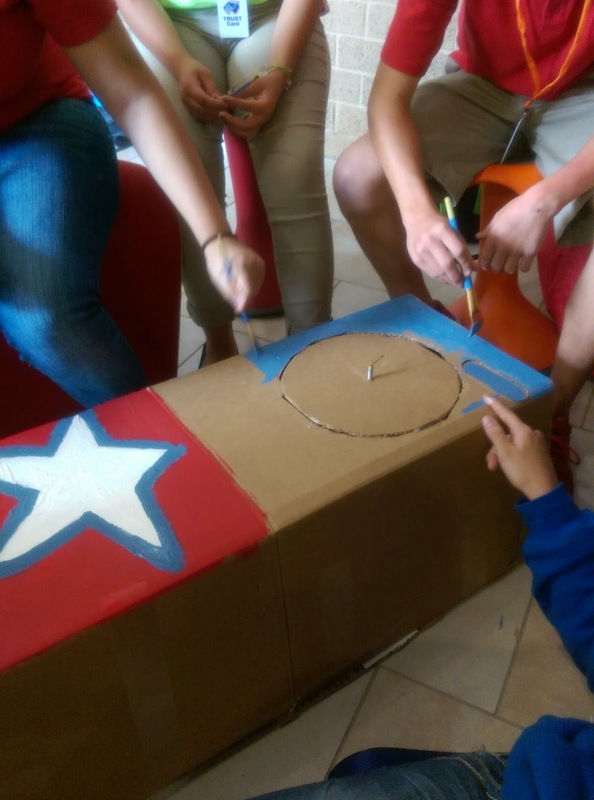 The first part of project is the "Cube of Relevance" where students create a cube with icons and logos that represent things that are relevant to them. 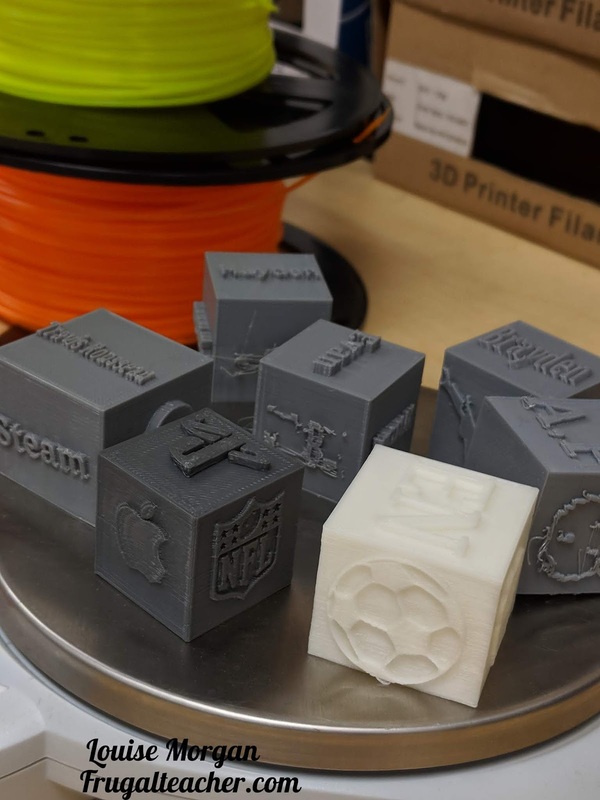 During this phase, students become familiar with Tinkercad, image file types, vector graphics, and other technical aspects of 3D design. Students spend time planning their second project by using the Faucet/Funnel Thinking docs. 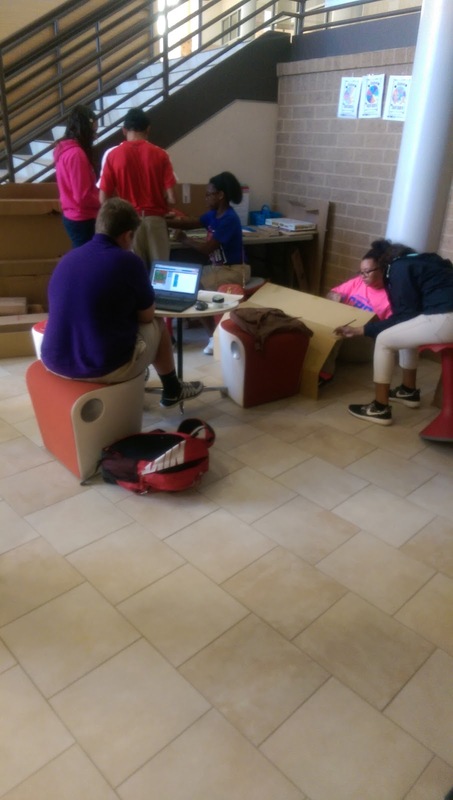 This is the part of the project where design thinking and empathy play a part in the planning process. They are designing something that has a use or purpose. 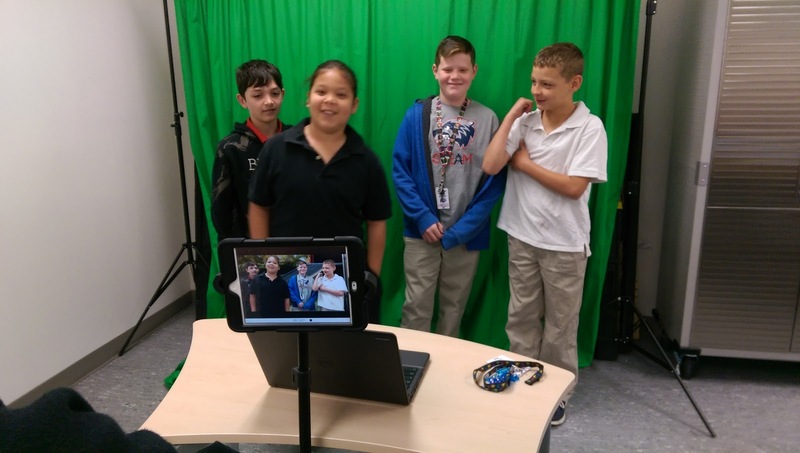 By asking "who, what, where, and why" the students come up with an idea that will help others. Throughout the unit students are encouraged to work autonomously by receiving peer feedback, utilizing the provided resources, and seeking out their own additional resources. The final phase of the unit involves a self-reflection/evaluation using the rubrics and the Maker's Statement. This final stage is important so be sure to allow enough time for them to reflect and share their process. According to John Spencer "Innovation skyrockets when people show their work". He also adds that when students show their work, they are helping to build a community. In the process, sharing their mistakes and "building trust through vulnerability". Below you will find the slides that I use to deliver resources and information to my students. 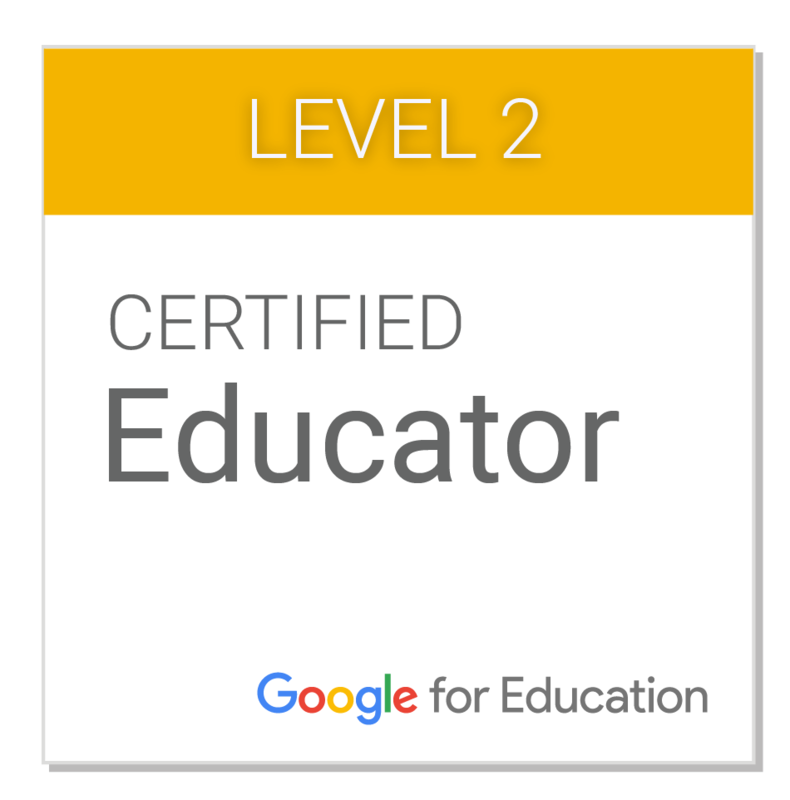 I also post in Google Classroom the assessments and materials that I want turned in to me. Students make a copy of the slides so they have everything they need at their fingertips for autonomous learning! Feel free to make a copy for yourself and modify as needed. 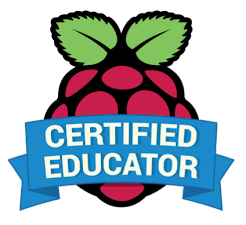 Since my last post over two years ago, I have been working to develop curriculum for my class. 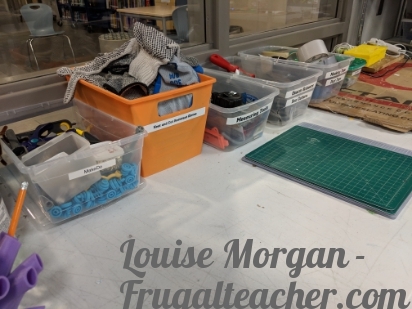 For the past 4 semesters, I have refined what I do in my classroom, and over the next few months I plan to share how I teach my units in the Makerspace. I share the Slides (below) with students via Google Classroom. On this project, I give the students the option of working with a partner or alone, but everyone must receive feedback from their classmates during the "create" process. Make a paper copy of the "Cardboard Techniques" slide and cut. 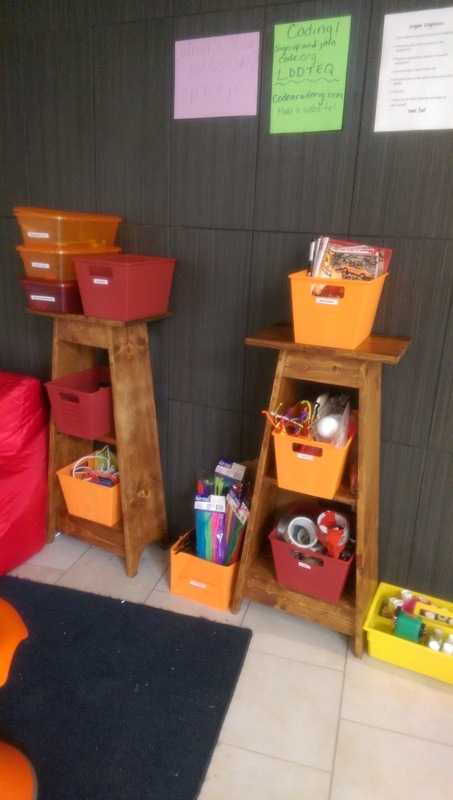 Place in a container for the students to randomly draw. If you have more than 12 students, make enough for each student - it's ok to have duplicates. 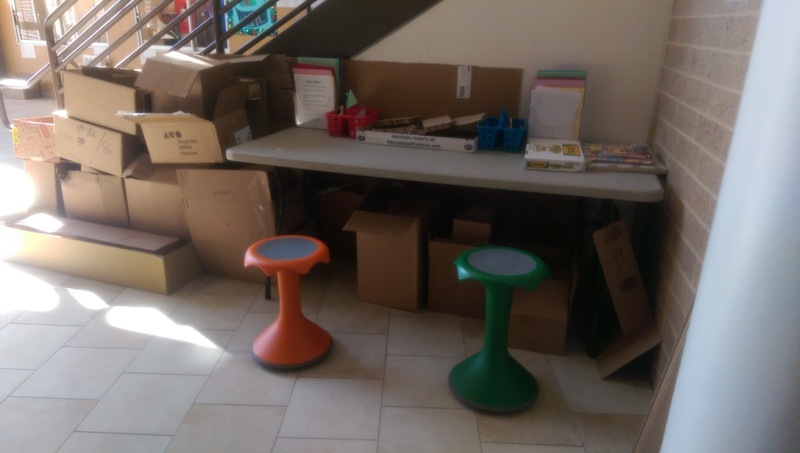 Before the cube pre-assessment, I spend time familiarizing the students with where all of the materials are located in the classroom, how to use the tools safely, and clearly define clean-up expectations. 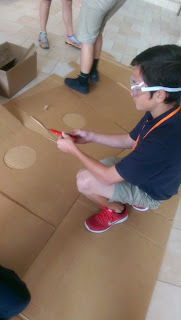 I don't give them a lot of instructions on how to work with the cardboard, because this part of the project gives them the opportunity to assess their skill-level. I spend more time on techniques during the next phase when they work on the Technique Resource Board. 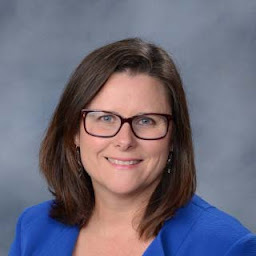 It is important for the students to have time for planning and thinking, but it is also important to have a sense of urgency so that they can be done by the final due date. Some will hurry and finish in a day or two, while others will work more slowly. Be prepared to challenge the early finishers by sending them to receive feedback from other students, make improvements, or add to their project. For the students who may not have enough time to finish, encourage them to seek feedback and suggestions on how to refine and edit thoughtfully so that they have a finished product by the due date. During the Share phase, students write a Maker's Statement reflecting on their process, creativity, and collaboration. They use the rubric to self-assess their project. This final phase also involves sharing in front of an audience. In addition to the class, invite other teachers, parents, and community members. 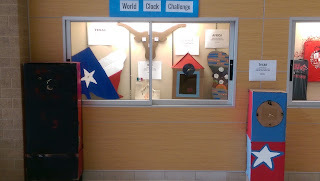 After the presentations, the projects are displayed with name plates for the whole school to see. 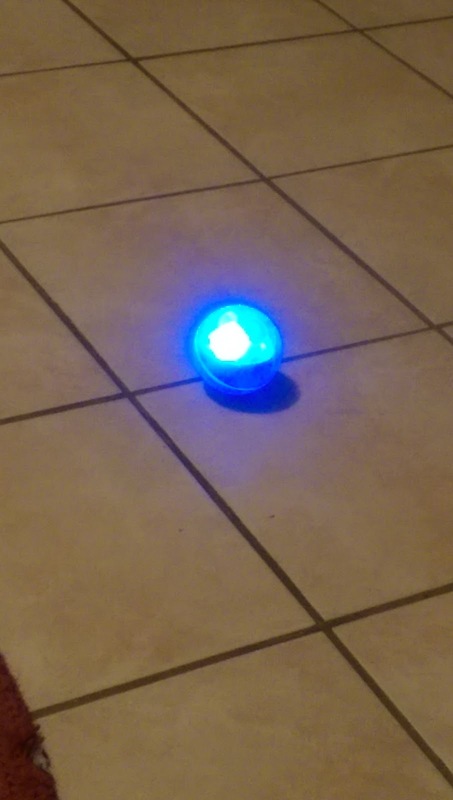 This project is the basis for all of our other units. 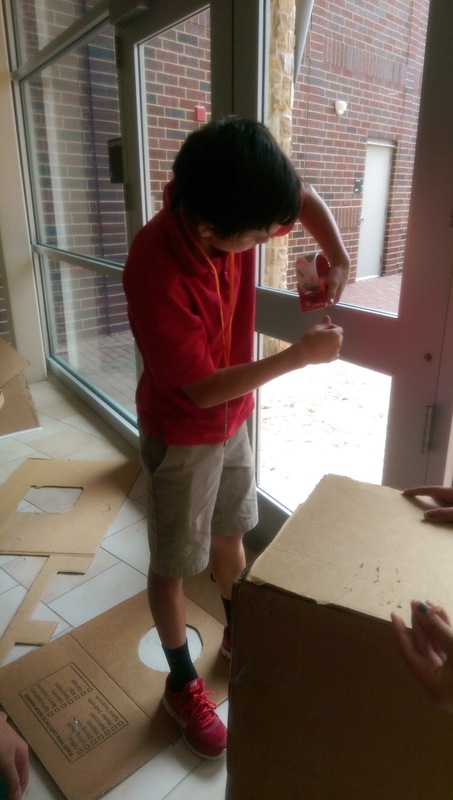 Learning how to use cardboard gives the students risk-free medium to explore, create, fail, and succeed. 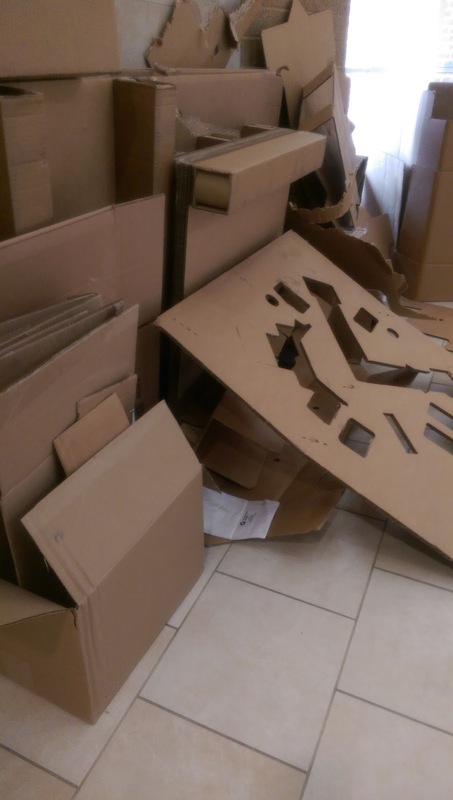 As we move on to circuits and physical computing students will understand that with cardboard, the possibilities are endless! 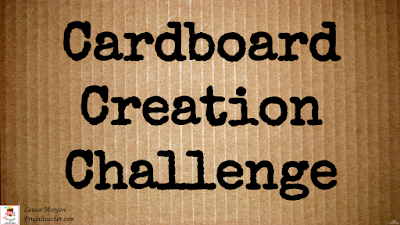 Cardboard Creation Challenge Slides - You are welcome to copy these slides and modify as necessary, but please give credit to the creators. Student Cardboard Projects -You are welcome to use these photos, but please give credit to the creator. 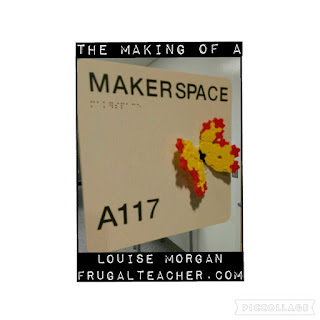 I created this Smore for my school so that our students and teachers can become familiar with some of the items in our makerspace. While this is mostly a list of "stuff", I have also included photos and videos of student-created work to help inspire and ignite new ideas. The Making of a Makerspace - Part 3 The Purchase Orders are Approved! The Purchase Orders Are Approved! By mid-October STEAM Middle School had finally settled into a routine, and the makerspace was becoming a regular stop for many of our students. 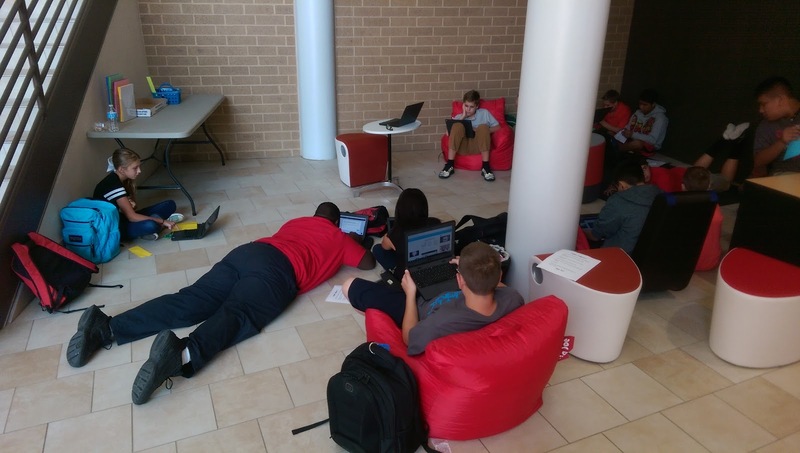 The World Clock Challenge was keeping the students busy, and the inviting atmosphere gave the students a place to work and collaborate on class assignments. Because we are a new school, we had a start-up budget that allowed me to purchase more than I would be able to in a normal year. After many hours of research and consideration, I submitted purchase orders for items that I thought would provide a good foundation on which we could build over the next few years. The purchase orders were approved and then it was just a matter of waiting. In the meantime, we made the best with what we had. 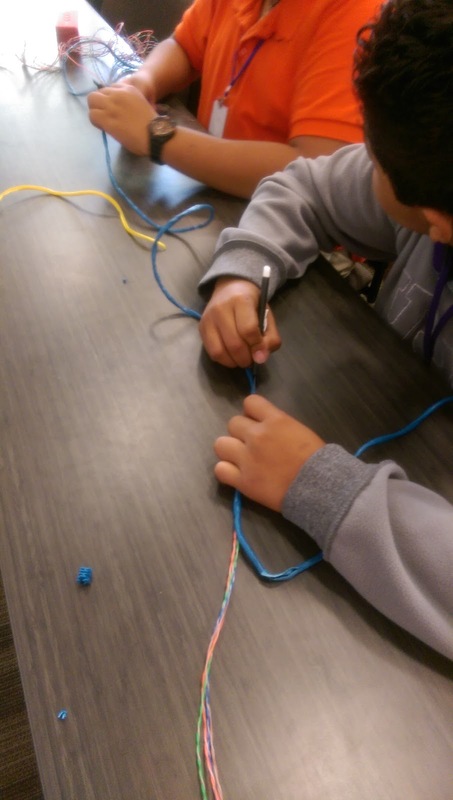 Students enjoyed "unmaking" old electronics, pulling copper wire out of ethernet cords, painting phone cases, making pressure plates, and exploring circuits using led lights and coin cell batteries. Eventually, packages started arriving. For a while, every day was like Christmas. 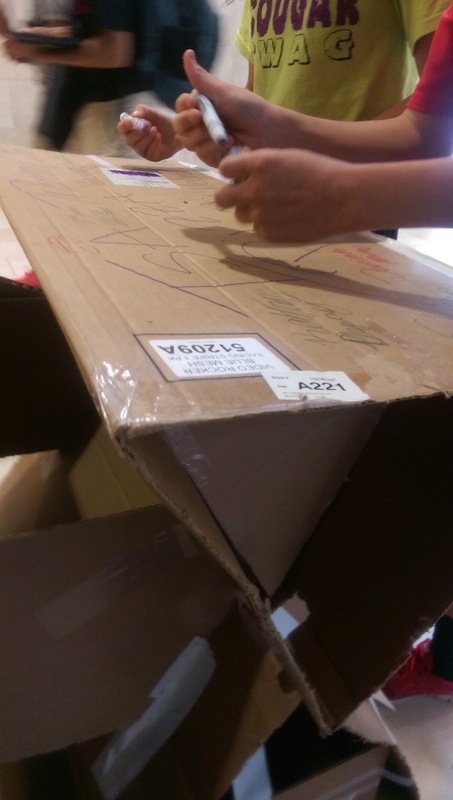 It was very exciting to open boxes full of shiny new possibilities. 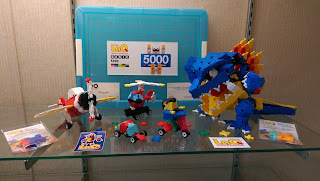 LaQ Building Blocks (large set of 5000) - LaQ blocks consist of flat squares and triangles, various connectors, wheels and axels. 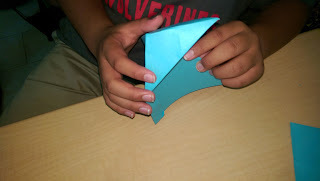 LaQ allows builds to have curved edges and right angles. Initially, the students used the guide to build cars, helicopters, and dragons. Eventually, LaQ blocks would become an essential item in our makerspace (stay tuned for that post). 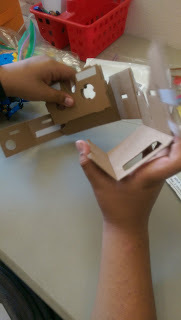 Google Cardboard - The challenge was putting them together! I bought 10 of the low-cost viewers on Amazon because I wanted the students to put them together. 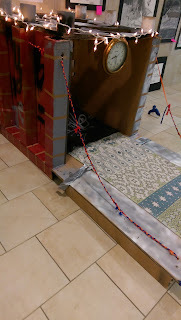 The instructions were not adequate, so YouTube and ingenuity were required. I would highly recommend spending a little more to get better quality viewers. 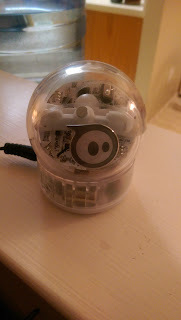 Sphero (2) - I was very excited to receive these little robotic balls. Unfortunately, we wouldn't receive our tablets for another month, so I allowed students to use their phones to control them using the Sphero app on Android and iOS. This posed a few problems when multiple students tried connecting with the same Sphero, but we worked it out by sharing. 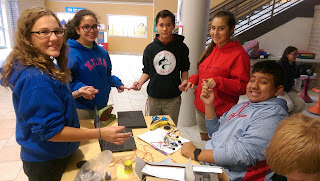 Makey Makey (4) - the invention tool that is used with the students' Chromebooks. Little Bits (Basic, Arduino, and space) - magnetic components that help teach the basics of circuitry. 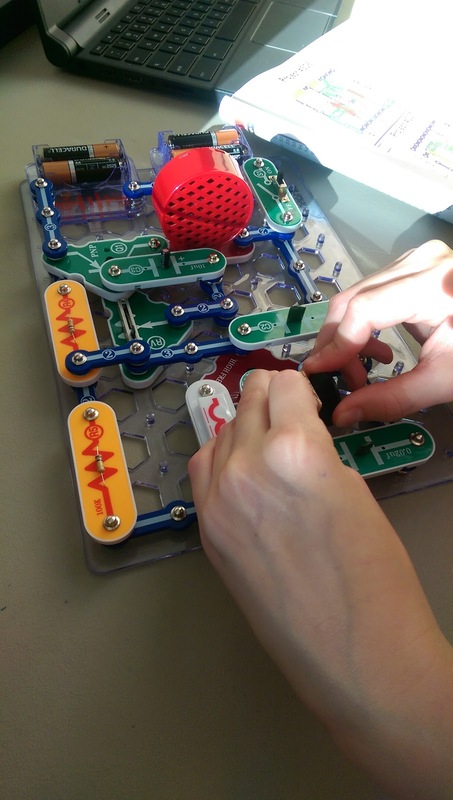 Snap Circuits (Basic, Light, and Sound) - another fun tool for learning circuitry. Two iPad minis and two Nexus 7 table - ordered from CDWG through district. 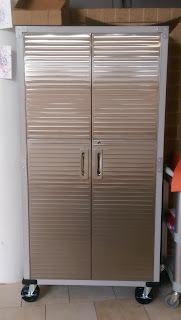 And finally, a cabinet to keep it all safe. So now that we had the "stuff", the key would be to how to best utilize these items in our come-and-go atmosphere. 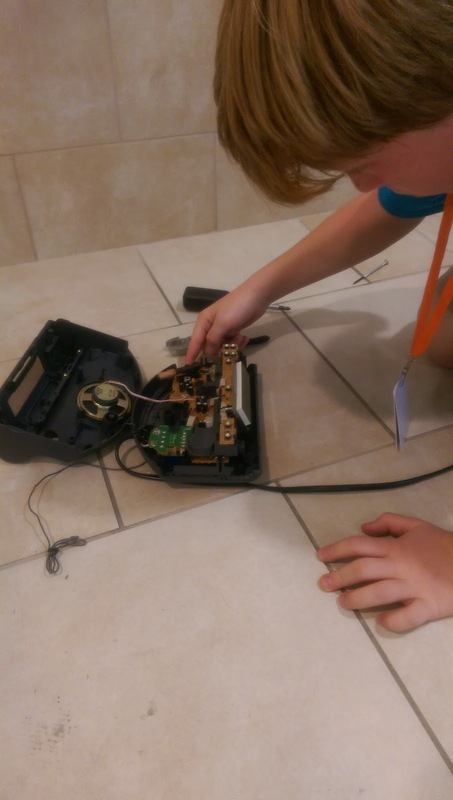 Students generally spend about 15-20 minutes in the makerspace - which is a good time for tinkering, but not really enough time for doing full-scale projects. This is an ongoing dilemma that I have been working and have partially solved by holding afterschool sessions. More on that in a future post. This video captures the essence of what our makerspace is about: Collaboration, creation, exploration, creativity, and innovation! 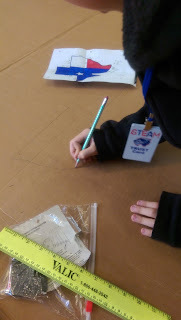 The second in a series which chronicles the evolution of The STEAM Makerspace. 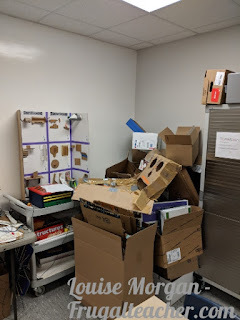 As mentioned in the first post of this series, the Makerspace at STEAM Middle School started with nothing more than cardboard (a lot of cardboard) and donations of craft items. 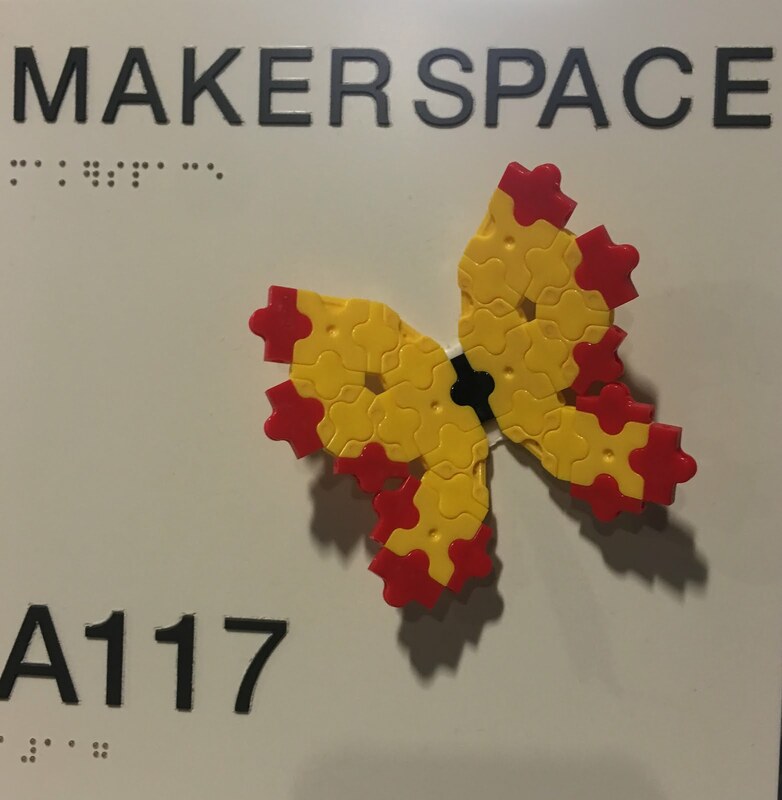 As we were nearing the end of September, I wanted to come up with an event that would highlight the makerspace and its purpose at STEAM. For the past several years in October, The Imagination Foundation has hosted a Global Cardboard Challenge for schools and communities to come together and create - using cardboard! I decided to host our own cardboard challenge - The STEAM World Clock Challenge. I got the inspiration from Michael Buist's Instagram. 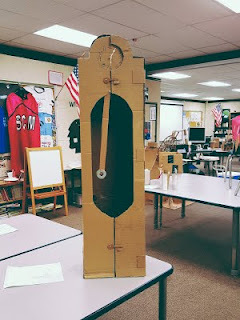 Early in the school year, his students were creating all kinds of cardboard creations and this clock stood out to me - a real working clock made out of cardboard! Visit Michael Buist's Instagram for more inspiration! 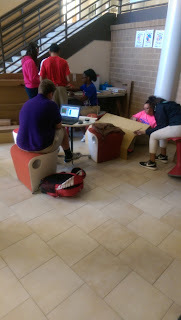 I set up a webpage detailing the rules and guidelines, students made posters, and we got to work! It's hard to cut with our limited collection of tools so they had to keep it simple. Cardboard can be strong or weak, depending on where and how you cut it. 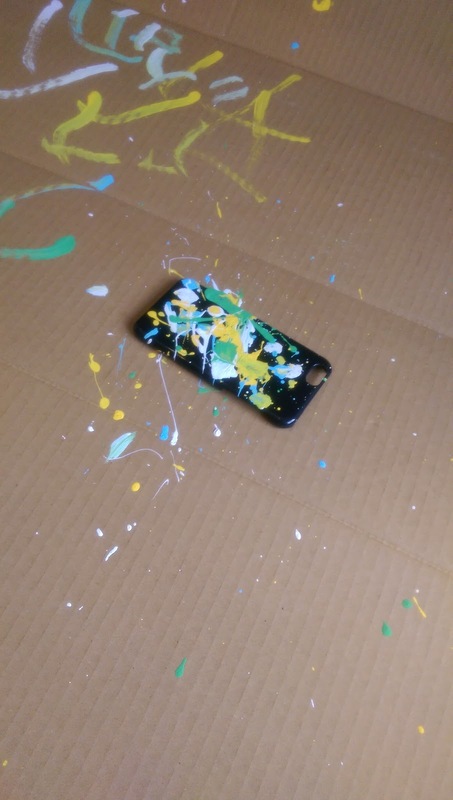 When it's painted it curls and shrinks. 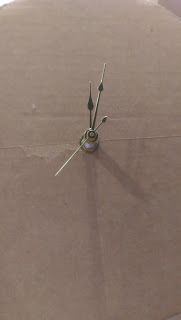 The clocks were constructed entirely of cardboard, but the clock works were purchased at a local hobby store for less than $10.00. 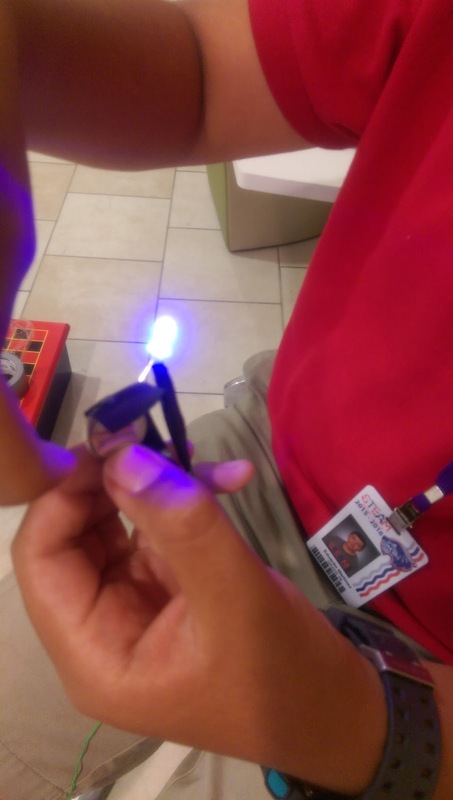 Many students bought their own. 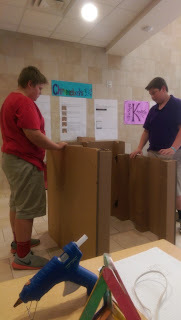 This project spurred a lot of interest in the makerspace and brought a lot of new faces throughout the day. Students were curious about all of the construction going on. The final display looked great! All of the clocks were set to the time zone of their city/country that their clock represented. Finally, we had parents, teachers, and staff vote to determine 1st, 2nd, and 3rd place winners. Our PTO donated gift cards to the local hobby store. Future events like this might be more successful if parents are involved. They could help after school or we might do a special family Saturday work day. 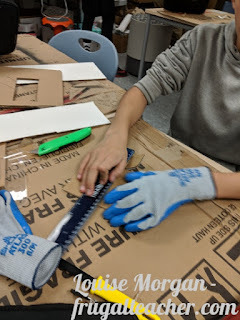 Also, the makerspace was a new concept to our students and they really didn't understand that there was a place in our school where they could make and create. These are things to think about and make it better for next year. The Making a Makerspace - Part 3: The purchase orders are approved! The first in a series which chronicles the evolution of The STEAM Makerspace. The 2015-16 school year has been a year of change and growth for me. 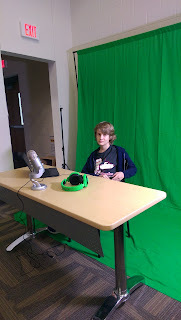 Moving from my 2nd grade classroom to a brand new STEAM Middle School has proved to be both exciting and challenging. As the Integration Technologist, my job includes duties such as: Chromebook repairs, instructional technology, and media specialist. Early on, my principal shared his vision of our makerspace which would eventually include all of the popular makerspace gizmos and gadgets, as well as, several 3D printers. But...I am getting ahead of myself. We started the school year in an unused wing of a high school. 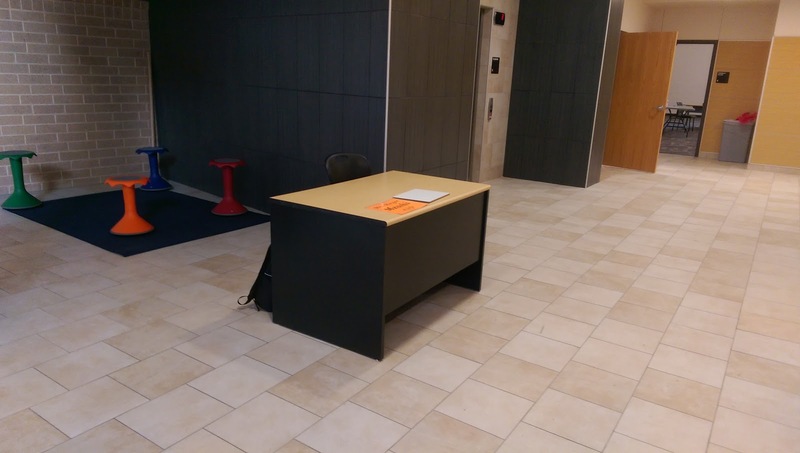 My "area" was a desk under a stairwell and my budget was $0. I knew that we would be moving to our permanent location after our winter break and that I would eventually be given a budget, but in the meantime, I was determined to get the makerspace up and running so it would be part of our evolving school culture. Did I mention that I started with $0 budget? 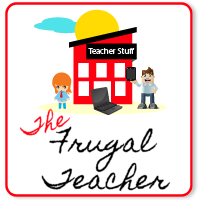 Good thing I am "The Frugal Teacher" and after years of being a 2nd grade teacher/home crafter, I was able to raid my garage for art supplies and paper. My dad made me a few shelves and $10 at Dollar Tree helped with the storage issue. The school was receiving daily shipments of supplies, books, etc... so we had an overabundance of cardboard. We also relied on donations. 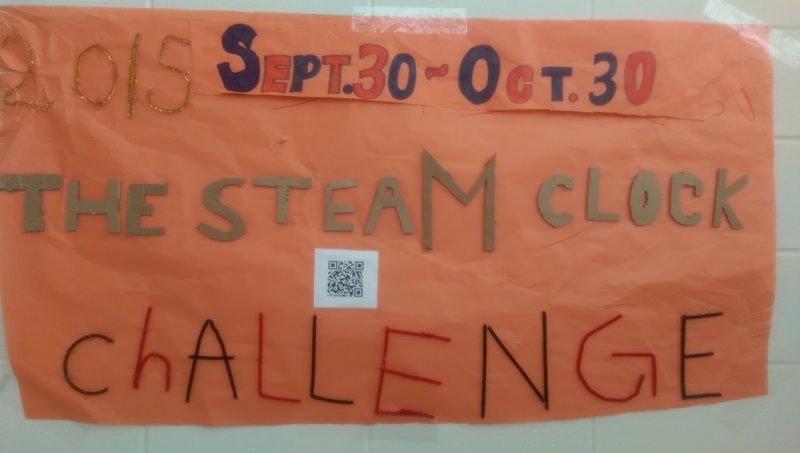 Our school is divided into houses (think Harry Potter), so I set up a house challenge and points were given as donations came in. We received tools, plastic lace, craft supplies, and old electronics. Not really. 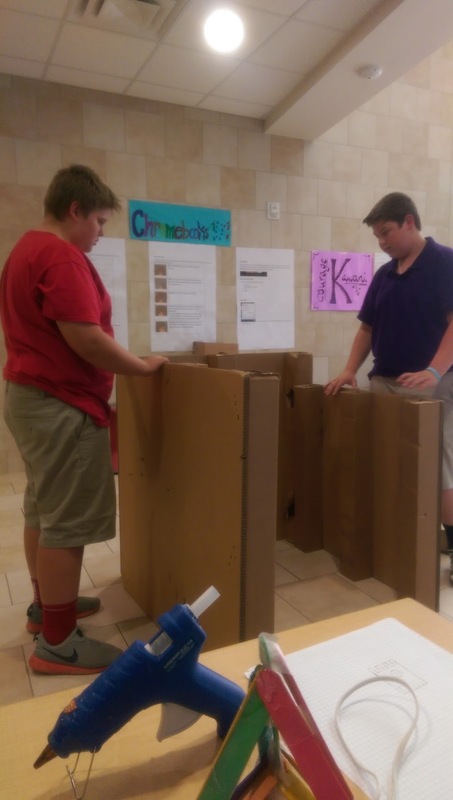 The students did not know the function of a makerspace. 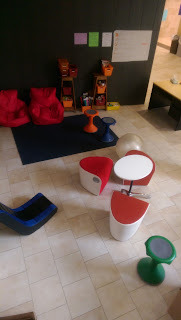 They came from traditional schools and had not experienced this type of space. They looked with curiosity as they walked through on their way to class or lunch, but they weren't sure what to make of it. Eventually, students found their way to the area during class time to work and collaborate. 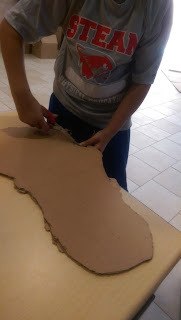 Some would shyly ask to use the craft supplies for a poster or a project. Some found their way during intervention time (i.e. study hall). 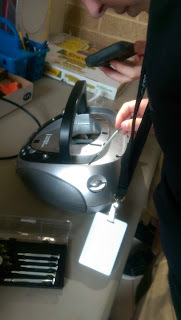 I also had a small group of teacher's aids during 5th period who would tinker and try out the newest additions. By mid-September, I was getting a regular crowd. My desk and a folding table became our workspace for crafts like origami, wonder looms, and plastic lace lanyards. Students also started tinkering with the cardboard and old electronics. Teachers would send kids for cardboard and other supplies so they could create models or products for class projects. 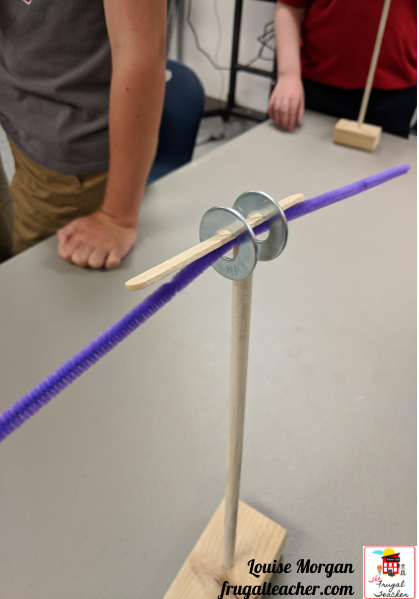 By October, the STEAM Makerspace had become a hub for gathering and creating, but with limited resources, I had to figure out a way to sustain the interest. The World Clock Challenge fit the bill for drumming up more interest in the makerspace and for using up the excessive amounts of cardboard we had accumulated. Stay tuned for the next post detailing our World Clock Challenge. 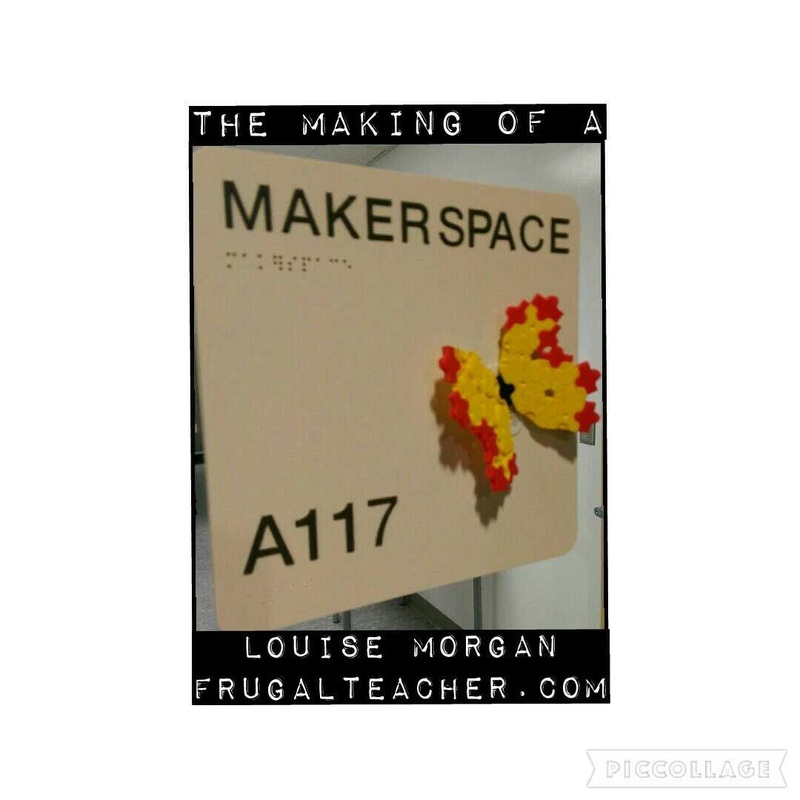 and then it became a place for making!